Journalists, media groups and users of social media in Afghanistan have accused the government of censorship after it moved to block the WhatsApp and Telegram Messaging services. The editor of one of the country's biggest newspapers said the move was a retrograde step and would be resisted. The move may have been initiated to stop the Taliban and other insurgent groups from using encrypted messaging. But as yet there is little evidence of the temporary ban being enforced. Earlier this week, officials at the body which regulates telecommunications confirmed that they'd written to service providers to ask for a temporary, 20-day ban, citing security reasons. 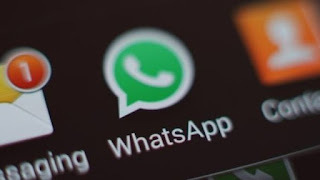 Acting Telecommunications Minister Shahzad Aryobee also posted a message on Facebook saying that the regulator had been ordered to put a gradual block on messaging services to solve technical problems, after numerous complaints had been received. "The government is committed to freedom of speech and knows that it is a basic civil right for our people," he wrote.